After an attempt to make Aviation popsicles with some overly slushie, albeit delicious, results (too much alcohol to freeze! ), I decided to go for a less boozy variation. 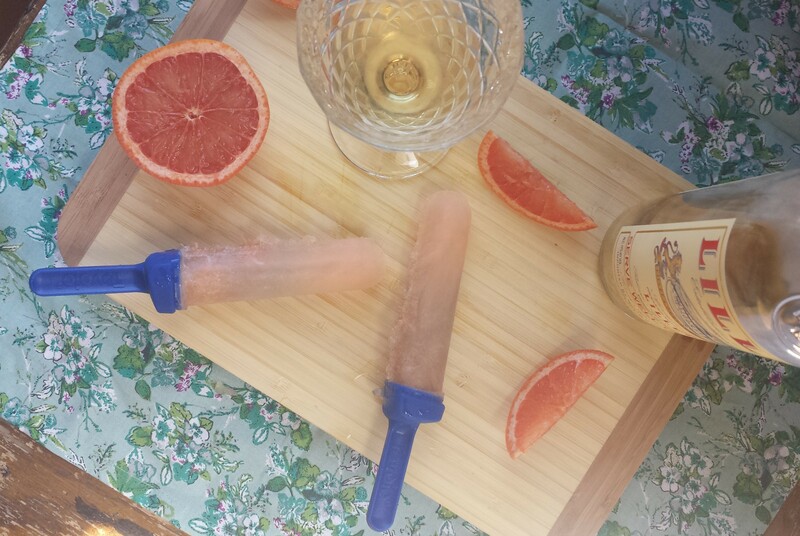 These Campari Citrus Pops from the Kitchn caught my eye last month, and I took their cue with the proportions. But instead of bitter Campari, I subbed in one of my favorite aperitifs, Lillet Blanc. 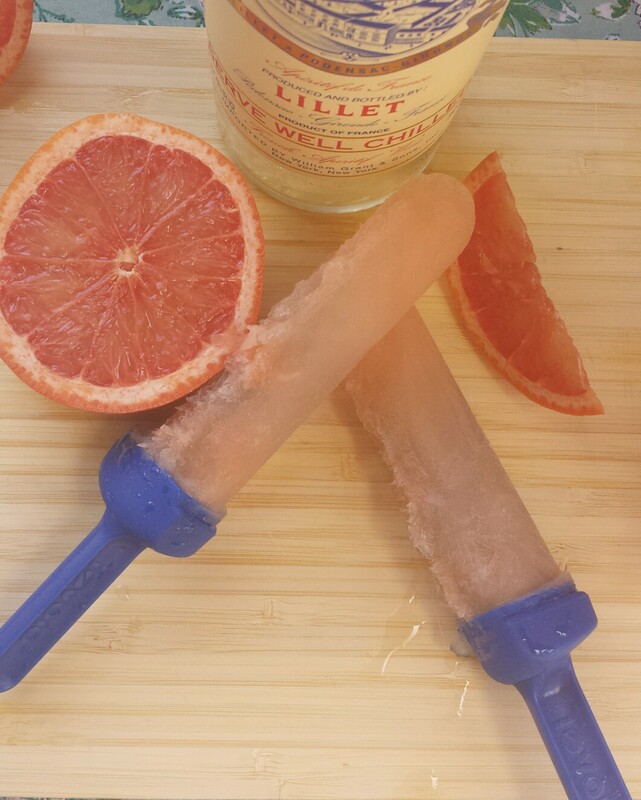 The lillet has a lower ABV than Campari, so I figured these popsicles would freeze just fine—and they did! These turned out perfectly tart like I like, but you can always add in a little more simple syrup if you prefer a sweeter popsicle. Adapted/inspired by the Kitchn. Makes four twin pops or eight small single pops. 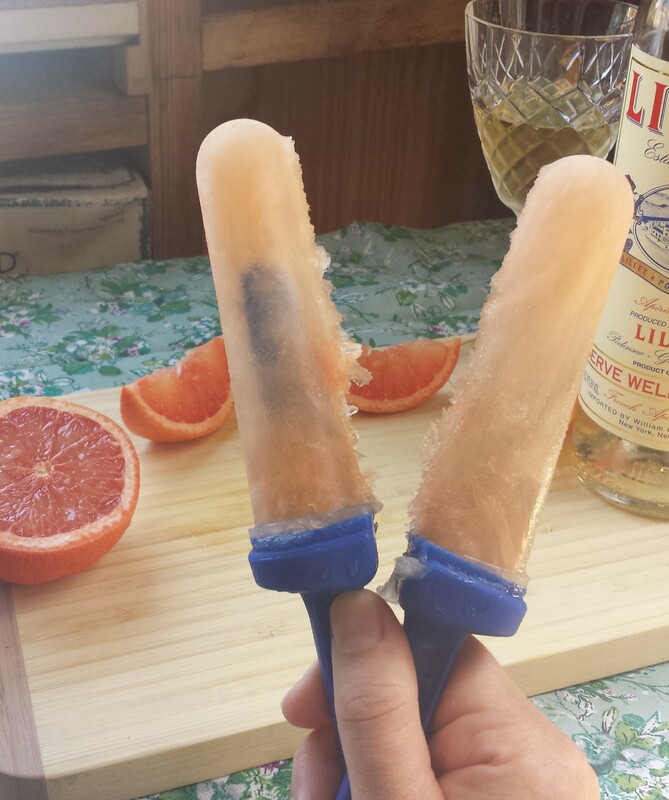 Mix all the ingredients together, and pour them into your popsicle molds. Freeze overnight and enjoy! 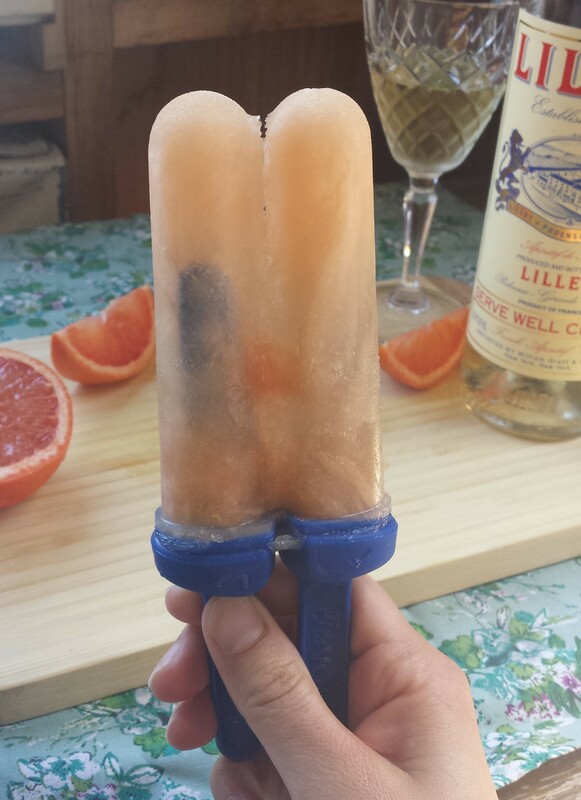 I kept the grapefruit pulp in because I like a little bite of fresh fruit in my popsicles. And yes, I bite my popsicles because they taste better that way, duh! These separating Tovolo twin pops were the best thing I could find at the Grand Avenue Bed Bed and Beyond. I would’ve preferred a single larger mold, but these force you to be nice and share, or you can be like me and shamelessly devour the whole twin pop in 30 seconds. Beware, the alcohol makes these popsicles a little softer than your standard sugar ice pop, but you shouldn’t have a hard time finishing it before it starts dripping. If all else fails, you can always invest in the Ice Cream Glove, one of many genius ideas straight from the brain of Ali G.